Joshua Kincheloe - Hero Tech Inc. I made this site to give Hero Tech Inc. a site that fully shows there services. One of the fun parts about this project was the "super hero" part of this project. I made this for Chuck Sedlacek at Hero Tech. He's very talented and if you need a total tech service provider in Ventura or LA county you should call him up. 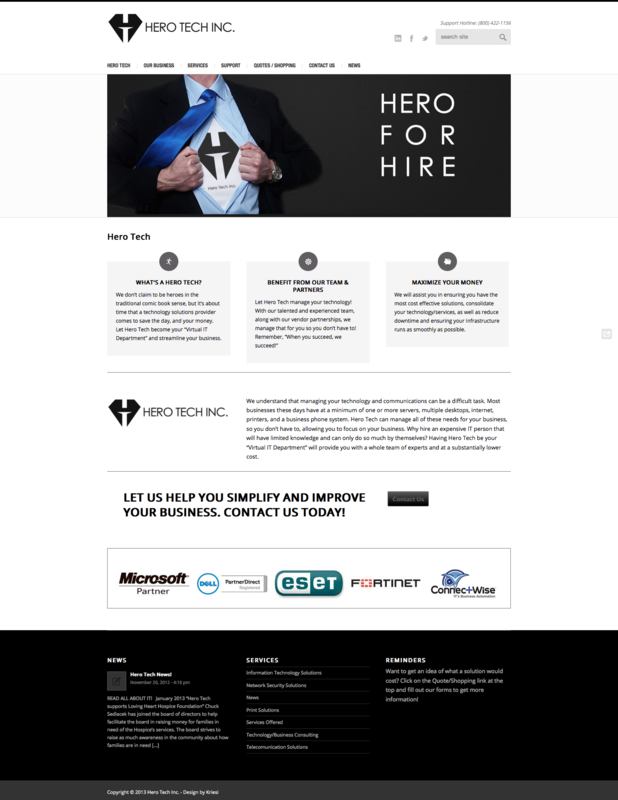 This is a responsive wordpress site I made for HeroTechInc.com.